Now graduated from college, realizing it takes more than a cappella to get by, all the Bellas return in the final chapter in the beloved series. After the highs of winning the World Championships, the Bellas find themselves split apart and discovering there are no job prospects for making music with only your mouth. But when they get the chance to reunite for a European USO tour, this group of awesome nerds will come together to make some music, and some questionable decisions, one last time. As the posters read, its “Last Call, Pitches” for the Pitch Perfect Franchise. The film is available on 4K Ultra HD with Blu-ray and digital copy included and contains a healthy list of extras. The Bellas have finally graduated from Barden University. Even Chloe (Brittany Snow), who failed classes on purpose in order to stay, has moved on. In the real world Beca (Anna Kendrick) is producing music but is not loving the artists she works with. She quits her job which is disturbing for Fat Amy (Rebel Wilson) who lives with and is supported by Beca. Chloe is applying to veterinarian school. When the Bellas get together they all express their displeasure with life after college. Aubrey (Anna Camp) suggest performing at USO shows where they can support their troops and maybe earn some respect from her father. Chloe is a bit sad that there is no competition attached to the event. Upon arrival they learn that is a competition because DJ Khaled (played by himself) will choose one of the groups to join him on tour. 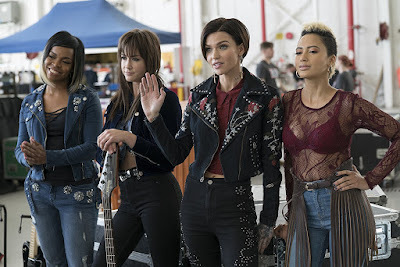 The Bellas will have to beat out an all-girl rock band called Evermoist, as well as a country band and hip hop artist. Performing on a USO tour and competing against other groups would be enough to fill your standard Pitch Perfect movie. As the last in the franchise, the filmmakers decided to step it up and turn this into a spy movie if James Bond were an overweight Australian. Whether or not you enjoy this film will depend on whether or not you’re a fan of the Pitch Perfect films in general. In addition to the primary characters, all the girls are back. The lovable lesbian Cynthia Rose (Ester Dean), the creepy/quiet girl Lilly (Hana Mae Li), the two girls no one notices Jessica (Kelly Jackle) and Ashley (Shelley Renger) and the young legacy Emily Junk (Hailee Steinfeld). Most importantly are the honorary Bellas Gail (Elizabeth Banks) and John (John Michael Higgins). Their off-the-cuff remarks are some of the funniest moments in these films – especially John who believes the Bellas will all be pregnant soon (and will therefore have fulfilled their duty as women). The boys are missing from this film, but you really won’t mind. Beca’s boyfriend Jesse apparently lives on the west coast with his girlfriend and Fat Amy’s main squeeze Bumper is insignificant at this point. True fans will find it sad to say goodbye to the Bellas and newcomers will wonder what the heck is going on and why these girls without jobs can afford to travel. Pitch Perfect 3 has a decent sound track with some good covers and a catchy original tune performed by Evermoist. Pitch Perfect 3 on 4K UHD is a solid upgrade from the Blu-ray’s presentation. The 4K picture is sharper and much more detailed. Skin imperfections and clothing textures show off the added resolution. The yacht sequence is clearly enhanced when you look at the dark water and the bright fireball. Pitch Perfect 3 offers an identical DTS Master Audio soundtrack on both Blu-ray and 4K. As soon as the Universal opening starts you’ll feel like you’re standing in a concert hall. Every note is pristine and you’ll hear every layer. The film is obviously dependent on music and the soundtrack is well balanced, whether it’s a full band or just a single vocalist. Sound effects on base like jet engines will be felt in the bass layers. Dialogue is clear and intelligible unless intentionally drowned out for comedic effect. Gag Reel (3:23) – The cast messing around on set, making themselves laugh. Competition Crescendo (6:37) – The Bellas riff-off like never before against bands with instruments. A Capella Action (3:15) – Acting and dancing on the yacht during an action sequence. 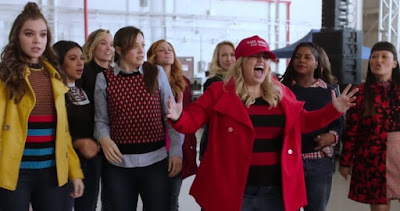 The Women of Pitch Perfect 3 (4:22) – The primarily female cast and screw is explored and the Director expresses her respect for her creative team. Don’t Mess With Rebel (4:27) – A look at Fat Amy the action heroine performing stunts, fight sequences and using weapons (both traditional and unconventional). The Headliner: DJ Khaled (3:01) – Hear everyone’s take on what DJ Khaled brought to his role including improvisations. The Final Note: John and Gail (2:23) – Everyone’s favorite misogynist and his partner Gail provide their take on things. Just Because He’s a Badguy (1:55) – A look at Fat Amy’s estranged scuzzy Australian scumbag of a father, played by John Lithgow. The Final Performance (4:31) – Here we learn that the finale was shot last and there are real tears as the actors say goodbye to their fellow Bellas. Freedom! ’90 x Cups Official Music Video (2:37) – A professional polished video with an extended list of performers. Hollywood of the South (2:28) – Atlanta subs for Europe with practical and stage sets. Director Trish Sie discusses the technical side of the film with information on plot, locations and characters. 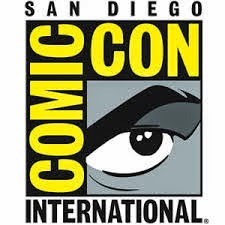 Producers Paul Brooks and Max Handelman offer additional details less captivating than the first but still worth the listen. 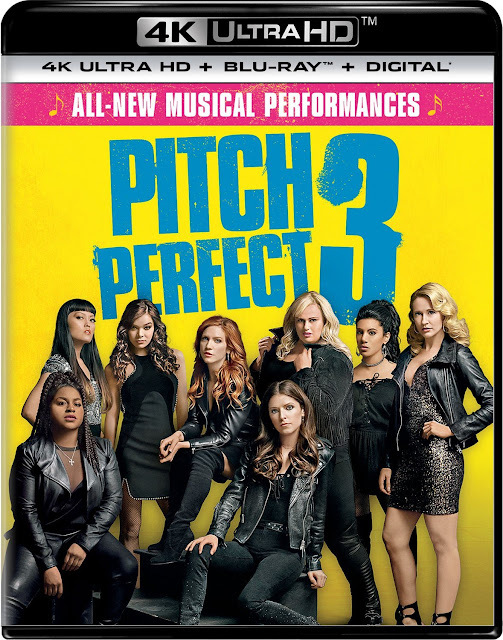 Fans of Pitch Perfect that happen to be into 4K discs are in luck because this is one to purchase. The audio is stunning on both Blu-ray and 4K but the UHD video is a drastic improvement over a pretty good Blu-ray presentation. A little Fat Amy goes a long way and she plays a major role in Pitch Perfect 3. John Lithgow comes along for the ride as Fat Amy’s father and he couldn’t be slimier or more perfect in this role. If you’ve enjoyed the other films (and don’t ask questions about why they always have a choreographed routine for any song at any moment), then I would recommend the purchase which includes a lengthy list of fun supplemental features.